We hope you enjoy reading about some of our favourite lessons and activities both inane out of school. Check out some photos of our activities by clicking the gallery link below. This term Swallows have been thinking about the changes that they can see all around them. Through more outdoors based learning we have been noticing the changes that Spring has brought. This has lead on to some great discussion in Science around animals. We have been thinking about what animals need to survive, where they live as well as matching animals to the names of their babies. Can you remember what a baby cow is called? All this talk of animals gave us lots of information we needed to make the most of our trip to Sacrewell Farm. We were very lucky to be able to see Lambs being fed by bottle and see many animals we had previously discussed. Some of the animals had even just had babies too! Click on the link below to see a gallery of some of the animals we saw. Within this term we have been focussing on developing the skills that we already have. In maths this developing of skills has lead to some fantastic results in our mental maths practise; with many children now able to quickly solve mental addition and subtraction as well as a continuing improvement in the recall of multiplication facts. In our reading sessions we have been developing our understanding of texts. We have been focussing on small chunks of stories, reading them as a class and answering questions all together to find the information we need in the text. 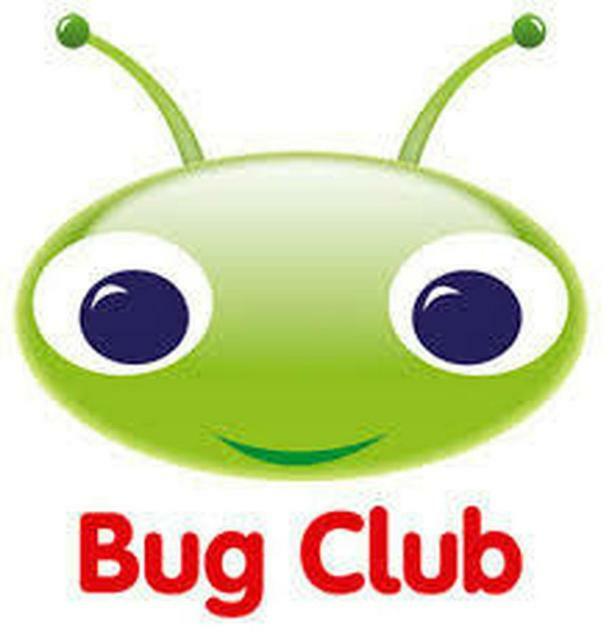 You can practise this too using Bug Club. There is a wide library of books available for you to read for free at home. Click on the link below and ask your child to log in. Each book also includes questions to ensure that your child is understanding what they are reading and can find information in the text. These reads also count towards the cinema. Just write a note in your reading records to say that a book on Bug Club has been read. 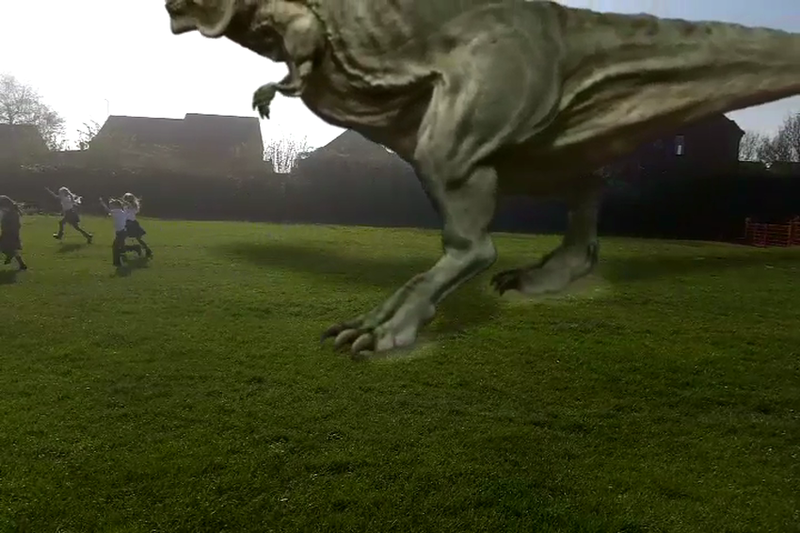 Check out the moment we found a Tyrannosaurus Rex at dinosaur club! Term 3 – All Around the World. This term Swallows have been thinking about different parts of the world. In Art we have been creating beautiful pictures based on different styles of art from Africa and Australia with a close link to our Science topic of animals. Here you can see some of our creations using different methods and materials such as blending chalks and Aboriginal style painting using just dots. The year 2’s this term have had the privilege to be involved in an archery enrichment activity. They used bows and arrows to try and hit a target. They found it quite tricky to begin with but after a while some of them were hitting a bullseye! A special well done to those children that were also chosen to represent our Sutton St James in an interschool competition. This term Swallows have been focussing on different stories with settings around the world. We began with the story of Handa’s surprise and the animals that can be found in Africa. We then thought about the story of the Great Explorer. We then planned and wrote diary entries, thinking about the emotions that the character was feeling when they were lost in the North Pole. Finally, we focussed on the story of Dan the Deep Sea Explorer, we really focussed on the detail of what we could see from our submarine window, writing some beautiful descriptive pieces. This term we have also been thinking about where different foods come from and have tasted some more exotic fruits that not all children had experienced before. All children tasted every fruit and were able to give their opinions of the taste of the fruit. We had some especially strong opinions on the taste of the lemons! 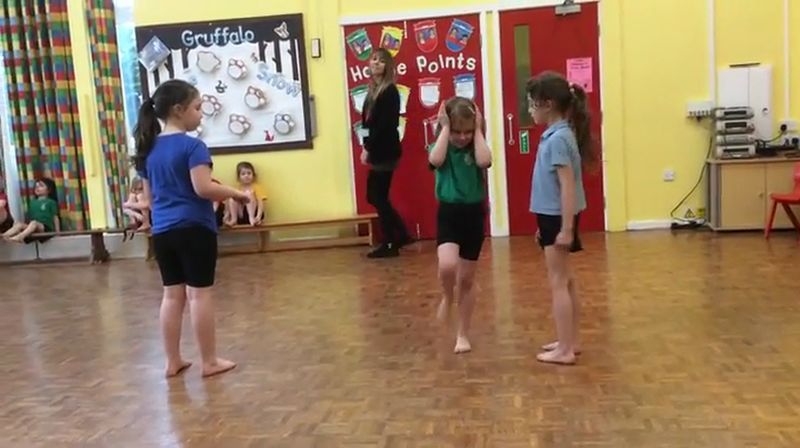 Swallows have been working hard this term on their dance abilities. We have been thinking about how we can move differently to different types of music, this linked closely to our story of Handa’s Surprise. Watch our final dance below. Can you guess which animals we are moving like? Take a look at what Swallows will be learning about this term! This term Swallows have been exploring the world around them. 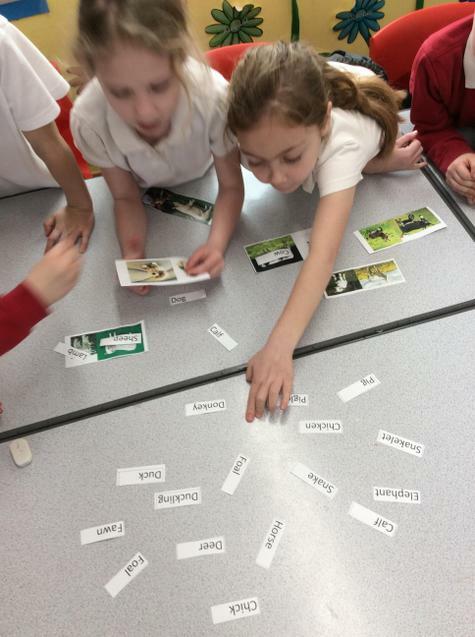 We have been working hard this term to find features of our local area as well as our wider local area. to find different areas. 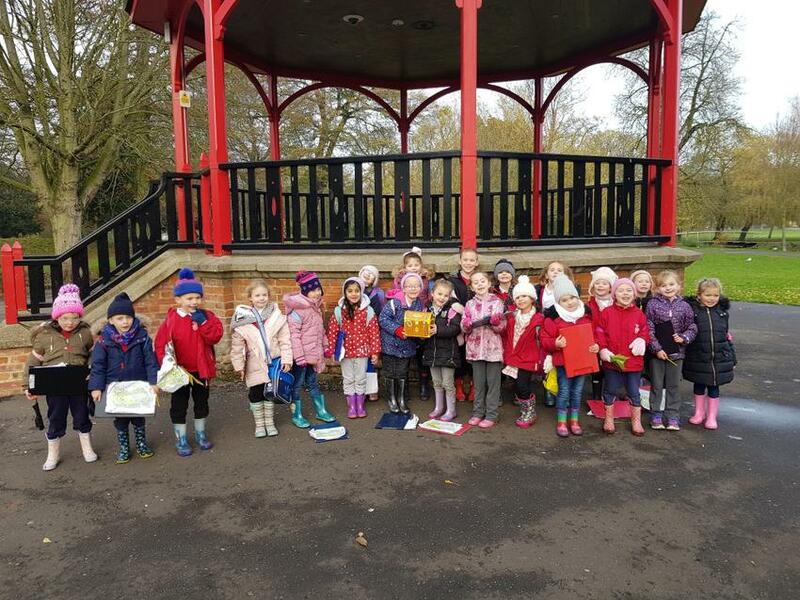 This culminated to our trip to The Walks in Kings Lynn where we followed a treasure map; trying to locate the hidden treasure. Thankfully we read the map very carefully and followed the trail to the 'X' at the end which lead to a treasure chest full of chocolate coins! Along the way we spotted lots of new and interesting landmarks such as handmade bird boxes and a variety of statues. they all got to experience the local environment, appreciating some of the wondrous things around us. This term Swallows have been very lucky to have been offered another sporting enrichment activity. This time we have been involved in a throwing and catching inter-school competition. All children in Swallows were given an extra morning of sporting activities; practising their throwing and catching skills and some children were then chosen to represent the school. This is the second sporting enrichment activity Swallows have been involved with this year and they have all expressed how much they have enjoyed working with each other so we hope to continue this trend by giving them many more enrichment activities throughout the year. This year Swallows and Wrens performed the Magical Christmas Journey. We practiced hard to remember lots of our lines as well as many different songs and throughout three performances to others we did a great job performing to our family and friends; speaking clearly and singing with great enthusiasm. Well done all of Swallows and Wrens for your hard work. Click below to hear some of our favourite songs from our nativity this year. Play to your children to see if they can remember the words! 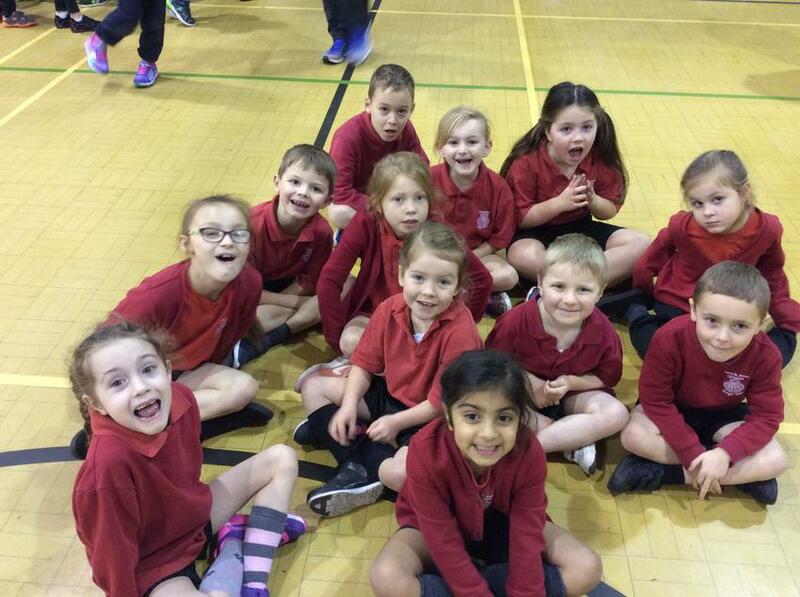 Swallows have had great fun during the festive period. First they were inspired by our Halloween day. 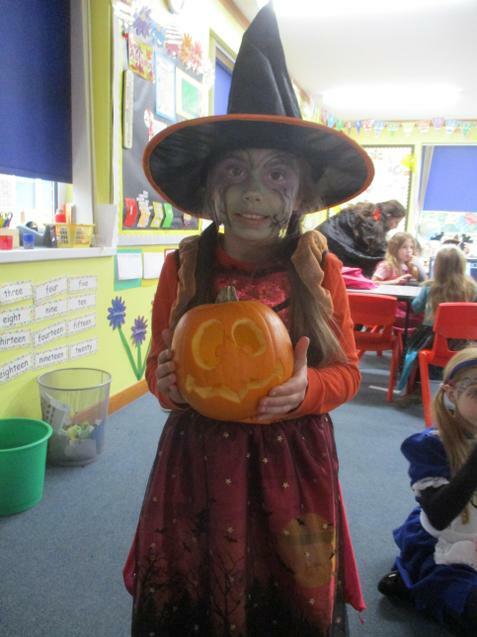 We dressed in our favourite Halloween costume and produced some lovely work based on our character. If you visit Swallows this term have a look at out Festive Frights display in the corridor to see some of our Halloween based artwork and some excellent writing in which we described what we were dressed as. Well done for having a fun and safe Halloween night. 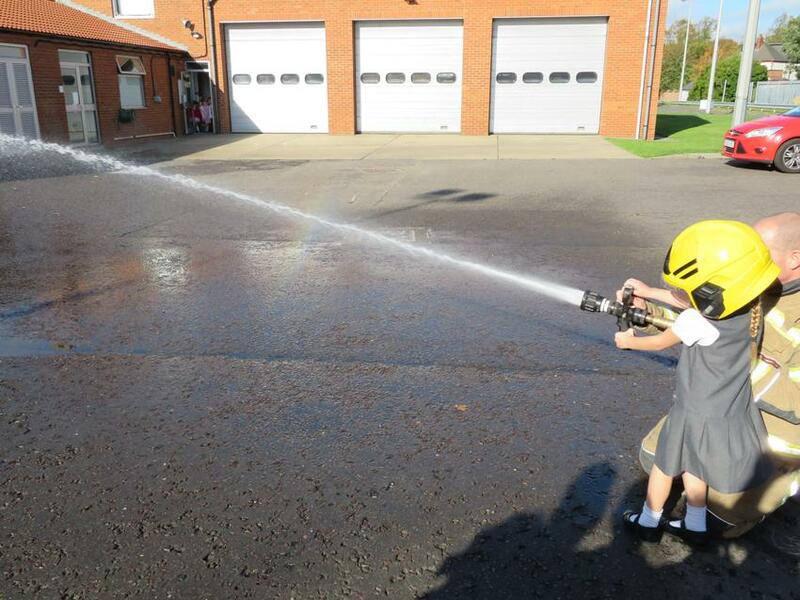 Our topic has also lead to some great learning about fire safety. 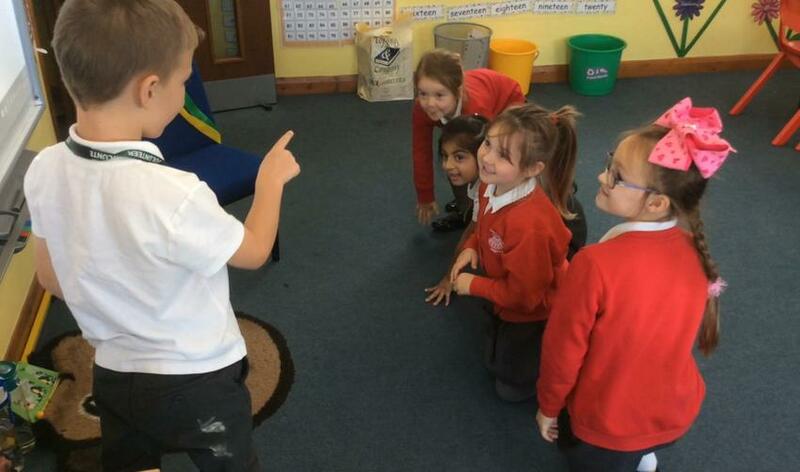 We have been using role play and drama to act out the procedure for a fire in school, reaffirming what our safety procedure is in school. This then lead to some great poster designs with clear rules to remind others around school what to do. They thoroughly enjoyed being 'mini-teachers' and acting out a fire drill. This work then culminated in our trip to Spalding fire station where children extended their fire safety knowledge to know what to do should a fire occur in the home. We learned about some of the equipment that firefighters may use to help us and got to experience the inside of a fire engine. Our topic has been linked heavily to our Literacy lessons with the children producing some lovely pieces of writing based around fire; ranging from instructions for what to do in school in the case of a fire to writing a diary entry in the style of Samuel Pepys; using our senses to say what we may have experienced if we were at the Great fire of London. In Maths we have been working on our knowledge of number this term, working hard to thoroughly understand the concepts we have been given. We have been focusing on our addition and subtraction skills, representing these in different ways. We have also begun to multiply, using objects practically and some mental methods to solve multiplication problems. These skills are essential and will continue throughout school and we have already seen an improvement in our weekly mental maths practises. 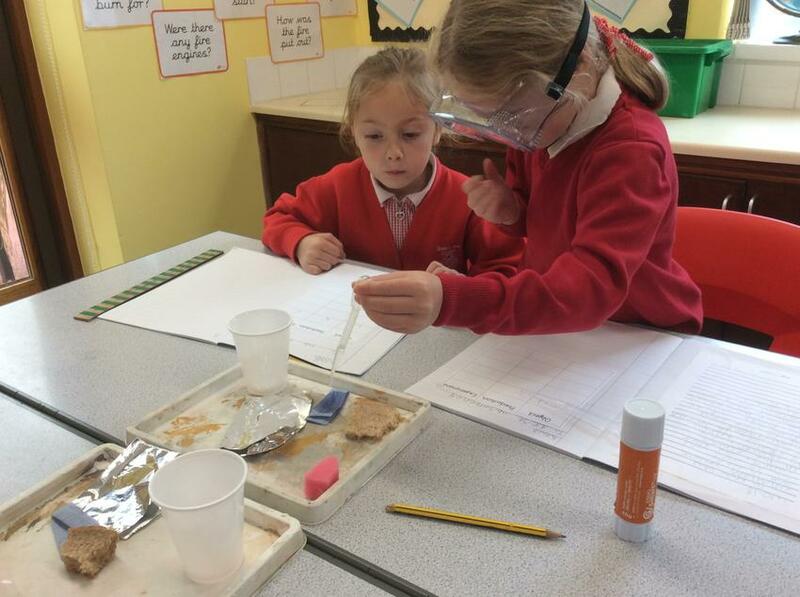 This term the children have also been amazed at many of the science experiments we have conducted. Here you can see we have been testing the absorbency of different materials. Well done for a great first term Swallows. Have a relaxing and safe half term. Take a look at what Swallows will be covering this term.